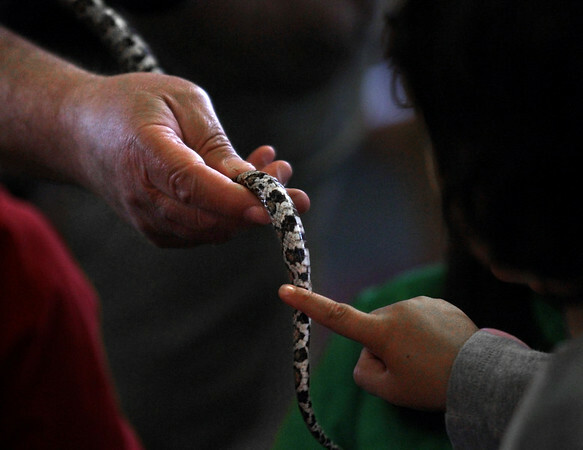 A child reaches out to touch an eastern milk snake, a species native to New England, during Rick Roth's "Snakes of New England & the World" presentation Friday at the T.O.H.P. Burnham Free Library in Essex. Roth, executive director of the Rockport-based Cape Ann Vernal Pond Team, introduced the awestruck crowd of about 50 children to a variety of the slithery creatures.